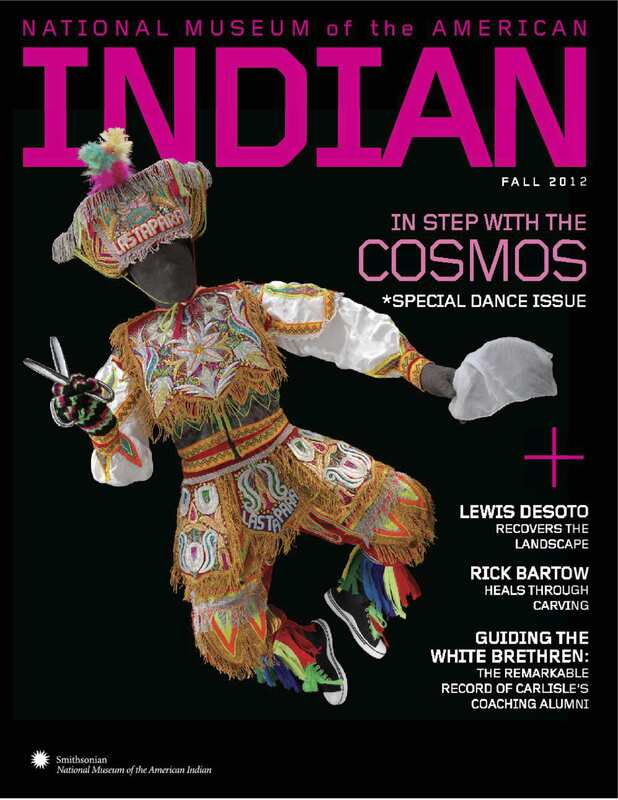 The electronic version of the Fall 2012 edition of the magazine for the National Museum of the American Indian (NMAI) is finally out. My article on Carlisle Indians who went on to coach other teams is on page 46 (page 44 of print version). 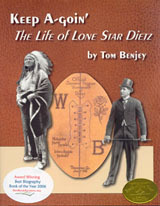 The idea for this article came to me after attending Lone Star Dietz’s enshrinement ceremony into the College Football Hall of Fame. 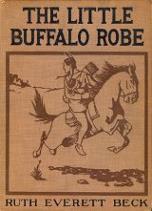 He is the only Carlisle Indian to be inducted as a coach. 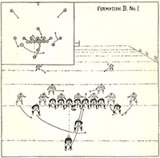 Six others, some of whom also coached, were enshrined previously but as players. It is unlikely that any others will receive this honor because no other Carlisle Indian coached as long or with nearly as much success as Dietz. 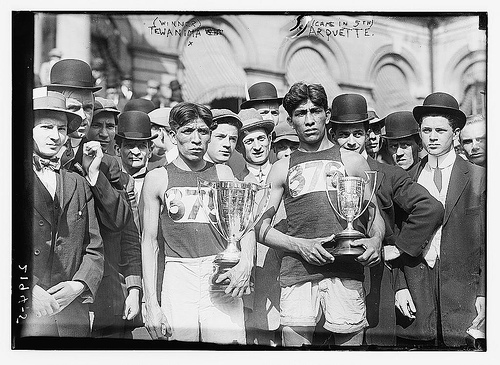 American Indian athletic prowess is getting much attention this year due to 2012 being the 100th anniversary of Jim Thorpe’s extraordinary triumphs in the pentathlon and decathlon at the 1912 Stockholm Games. 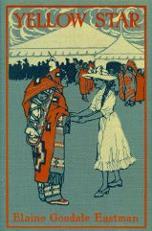 Anyone unfamiliar with Native Americans’ success in the Olympics can read my several previous blog entries on this topic. Worthy of note is that Dietz and the others had great success coaching white college and professional players. Many of them, including Dietz, coached Indian teams at one time or another but the vast majority of their coaching careers were with white college teams. Having played with Carlisle and knowing the Warner System gave these men instant credibility and opened doors for them. After going through those doors, success or the lack of it was the deciding factor. After all, sports have always been a meritocracy. Performance matters above all. Carlisle players succeeded on the field both as players and coaches. 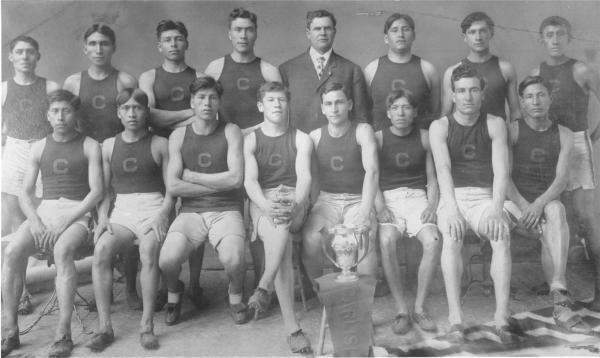 The graduate system of coaching that was tried in the early 20th century limited coaching opportunities for those who hadn’t attended major colleges but numerous smaller schools welcomed Carlisle Indians to lead their teams. 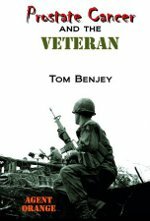 Although far from an ideal situation, these men were given the opportunity to succeed or fail on their own merits and they largely succeeded. According to Wikipedia, Brundage chose not to compete in the final event of the decathlon, again the 1500 meter run, and later regretted the decision. It may be that he also chose not to run the 1500 meters in the pentathlon as well. Perhaps his biographer, Allen Guttman, can shed some light on this but it has been decades since he wrote about Brundage and he may have forgotten the details. 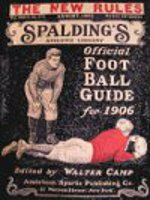 Something that is clearer now is that the Brundage who came in second to Frank Cayou in a track meet held at the University of Illinois on April 28, 1900 probably was Avery. Although still in high school in Chicago, his times were already good enough to compete with college boys. Six days before beginning the decathlon competition, Jim Thorpe won the Men’s Pentathlon (not to be confused with the Modern Pentathlon which will be discussed later). 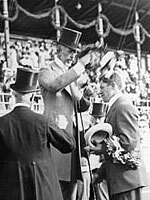 Unlike the decathlon, all five pentathlon events were held on the same day, July 7, 1912. The first event was the long jump which Jim Thorpe won with a jump of 7.07 meters. Average Brundage’s 6.83 meter jump was good enough for fourth place. Next up was the javelin which was won by Hugo Wieslander of Sweden with a throw of 49.56 meters. Thorpe’s 46.71 was good enough for third place while Brundage’s 42.85 was ninth. The third event was the 200-meter run which Thorpe won with a time of 22.9 seconds. Brundage came in 15th. After three events were completed, only the top twelve were allowed to continue; the rest were eliminated. It isn’t clear to me if the rules called for only the top twelve to continue or if those with composite scores higher than 25 were eliminated. Either scheme arrives at the same place in this case. Jim Thorpe was the overall leaders at this point with two firsts and a third place finish for five points total (1+3+1). Avery Brundage’s 22 points (4+7+11) kept him in the game tied for seventh place. Only the top six competitors were allowed to continue after the fourth event, the discus. Jim Thorpe won that one too with a throw of 35.57 meters. The discus throw must have been Avery Brundage’s best event because he placed second in it. When overall scores were recalculated to determine who made the cut, Thorpe was, of course, well ahead in first place at six points. Surprisingly, Brundage was tied for third with 22 points. Because two men tied for sixth place, seven were allowed to compete in the last event. 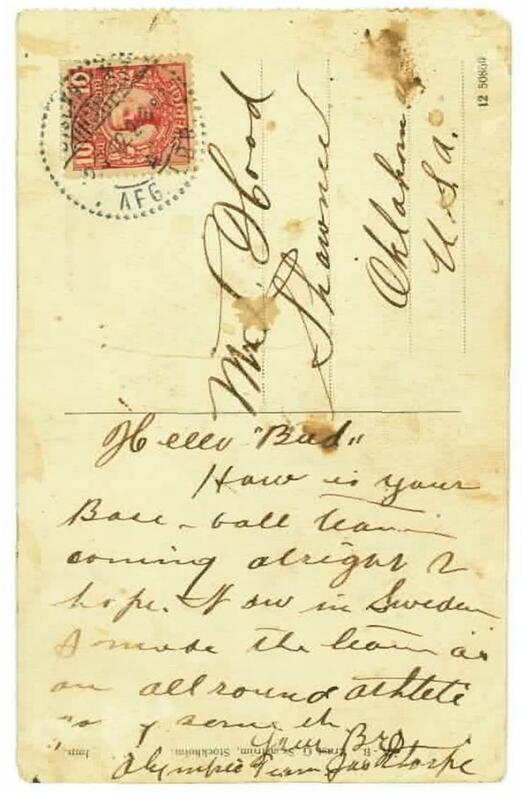 A postcard that Jim Thorpe sent to a childhood friend from the 1912 Stockholm Olympics is being offered for sale. Front and back views of the postcard are provided below. The stamp on the card is from Sweden. 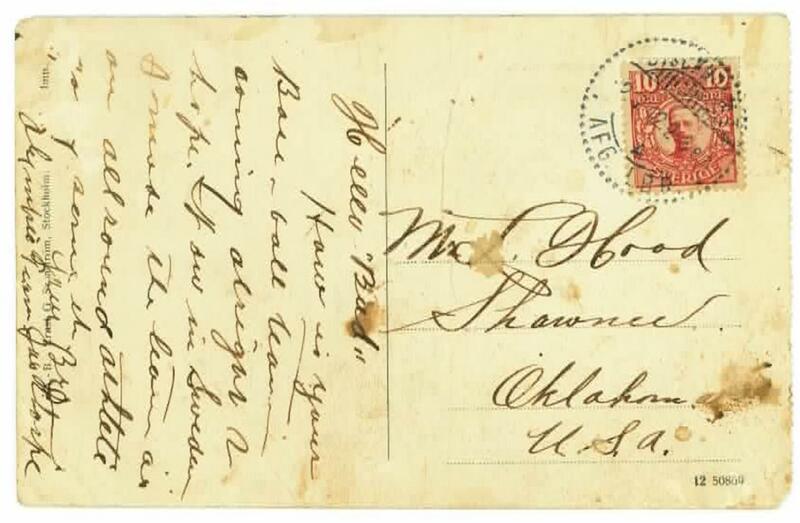 Closer inspection is required to determine the postmark. The U. S. Olympic team, other than the distance runners and Thorpe, used the ship they traveled over on, the SS Finland, as their hotel during the Olympics. 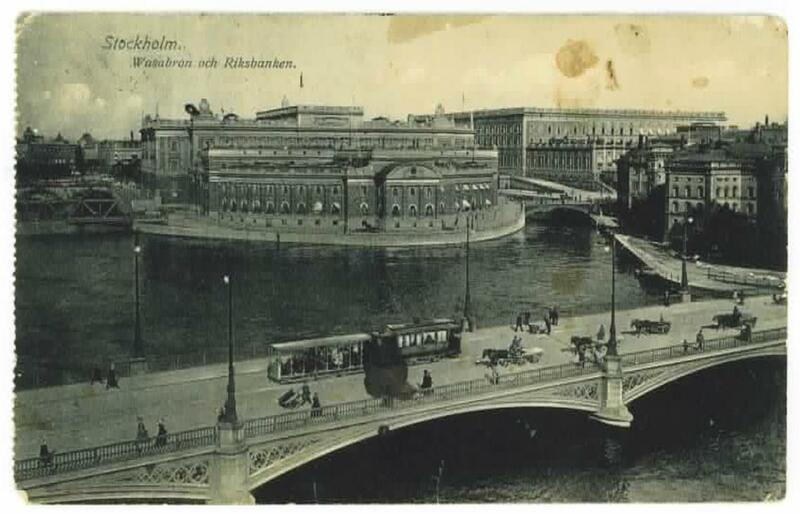 Perhaps the postcard was sent from the Finland. I previously overlooked a Native American who competed in the 1912 Olympics because he was not an American Indian. Duke Kahanamoku (real name Duke Paoa Kahinu Mokoe Hulikohola Kahanamoku) of Hawaii was, not surprisingly, America’s best swimmer. Also not surprising is that the AAU did not recognize his records until much later. They initially claimed that the judges must have been using alarm clocks rather than stopwatches, and later conjectured that he had been aided by ocean currents. Fortunately, the AAU did not operate the 1912 Stockholm Olympic Games. In the Olympic trials, Duke broke the 200-meter freestyle record when swimming his leg in a heat for the 4×200 relay. At Stockholm, he won the gold medal for the 100-meter freestyle and silver as a member of the relay team. The 1916 Berlin Games were postponed until 1936 due to the outbreak of World War I. Antwerp, Belgium was awarded the honor of hosting the 1920 games because of the devastation Belgium experienced in The Great War. Duke crossed the Atlantic to compete again. This time he brought home two golds; one for the 100-meter freestyle and one for the relay. Fellow Hawaiian Pua Kele Kealoha came in second to Duke in the 100-meter freestyle and was a member of the gold-medal-winning relay team. Warren Paola Kealoha, Pua’s brother, won the gold in the 100-meter backstroke and repeated the feat in the 1924 games. Duke crossed the Atlantic yet again in 1924 for the Paris Games where he came in second in the 100-meter freestyle, losing to Windber, PA’s own future Tarzan, Johnny Weissmuller. His younger brother, Samuel Kahanamoku, took home the bronze medal.Duke did not medal in the 1928 games but participated in the Olympics again in 1932, this time as an alternate on the bronze-medal-winning water polo team. But swimming was just a means to an end for Kahanamoku – to his surfboard, that is. Growing up on the outskirts of Waikiki (near the present site of the Hilton Hawaiian Village), it was natural that Duke would take up surfing, but how he became the father of surfing is a story for another time. The team held an exhibition meet on June 13 in New York City at which Thorpe and Tewanima stood out. The diminutive Hopi outran the country’s two best middle-distance men in the 3,500 meters and Jim Thorpe outjumped the world record holder in the high jump by clearing 6’5”. After the event was over, the record holder also cleared 6’5”. The 1912 U.S. Olympic team set sail for Stockholm on a Red Star liner, The Finland, arriving on June 30 to a hearty reception. In the first day’s events, Jim Thorpe won the pentathlon (Avery Brundage tied for third) and qualified for the high jump finals. Lt. George S. Patton finished 5th in the Modern Pentathlon, an entirely different event designed specifically for military officers. Lewis Tewanima qualified for the finals of the 1,500 meter run. Later that day he placed second and won the silver medal. Tewanima was also entered in the marathon. Andrew Sockalexis described the conditions for the marathon as, “…the worst I ever saw. The roads were very poor. A thick mud, the color of cement, covered them, and out of this protruded small sized rocks, which made the running anything but comfortable….The morning was cool enough, but how the sun did come out getting near noontime. I think the temperature was between 90 and 95 degreees.” He went on to say that he had never found it so warm in America. The conditions may have affected the little Hopi as he finished a disappointing 16th. Andrew Sockalexis finished 4th but later kicked himself for losing the race for “failing to use my head at the proper time cost me first place in the great race.” His mistake came at the halfway point of the race when he observed that the two leaders, South Africans McArthur and Gitsham, were clinging tight to each other and that McArthur was frothing at the mouth. Sockalexis planned on starting his spurt when McArthur dropped out of the race. He never did and won the race in record time. Jim Thorpe did not medal in the high jump due to failing to clear the bar when raised to 189 centimeters, a height he had cleared earlier in the year. He finished tied for 4th in an event in which six of the top seven finishers were American. In the decathlon, Jim placed 3rd in the 100-meter dash at 11.2 seconds, 3rd in the broad jump at 6.79 meters, 1st in the shotput at 12.89 meters, 1st in the high jump at 1.87 meters, 4th in the 400-meter dash at 52.2 seconds, 3rd in the discus throw at 36.98 meters, 1st in the 110-meter hurdles at 15.6 seconds, tied for 3rd in the pole vault at 3.25 meters, 4th in the javelin throw at 45.70 meters, and 1st in the 1500-meter run at 4minutes, 40.1 seconds. Avery Brundage finished 16th.